The banking federation unifies and activates its digital data to enable more effective customer journeys. 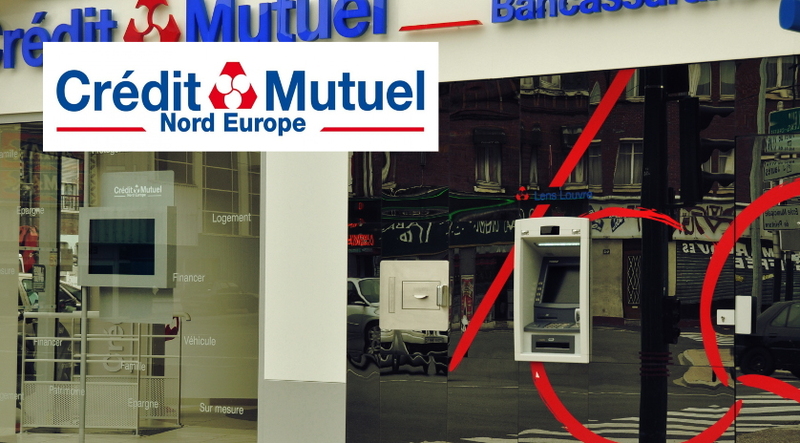 Crédit Mutuel Nord Europe is a leading retail banking and financial services provider operating in the north of France, in Belgium, and in Luxembourg. CMNE has a high street presence with 255 points of sale in France alone and offers its services to over 1.6 million member-customers. Like many of its peers in the banking sector, CMNE is dealing with reduced foot traffic at the point of sale. Today, less than 20% of its customers are regular visitors to their high-street branch. In effect, digitisation and lifestyle changes have shifted the majority of general transactions to automated teller machines and to online banking. As a consequence, the industry is looking to help customers discover new products without the intermediary of an account manager in person. CMNE’s Web site and mobile app attract 6 million monthly visitors. This represents a large untapped source of data. Most visits don’t go beyond the Account Management area of the site; dwell time within more commercial areas of the site is minimal. Security constraints combined with high customer expectations of data privacy make it difficult to bring digital data and CRM data into alignment. CNME made its first forays into behavioural trigger-based marketing mid 2014. CMNE manages multiple touch points with its customers and prospects: point of sale, customer service agents, direct mail, SMS, Web, mobile app, social networks and e-mail. In order to reconcile CRM data with digital data without compromising security, an encrypted customer ID was put into place. “We are able to join up our CRM and e-marketing approaches. Commanders Act’s data management capabilities enable us to implement more relevant and automated campaigns, based on behavioural triggers demonstrating an interest and not just basic targeting,” says Rémi Deltombe. CMNE can now fuse its digital data with its CRM data to provide a full audit trail all while anonymising data in transit. The company is now collecting unified customer data that it is using to improve on site personalisation. In particular, the company can detect online intent to orchestrate consistent and effective cross-channel journeys. “Commanders Act gives us a comprehensive data management platform tailored to the rigorous processes and security requirements of our retail banking environment. We have slashed the time it takes us to set up triggers and above all we have an effective solution to collect, process and exploit our data,” says Rémi Deltombe. The new multi-channel campaigns using behavioural triggers are driving response rates 3 times higher than classic segmented campaigns (66% open rate and 14% click rate). It now only takes several hours to set up new campaigns compared to several days prior. Example of a multi-channel customer journey made possible: detect customers showing interest for a car loan and guide them to conversion. Exploit data from the web site and mobile app, which attract 6 million monthly visits. Establish connectivity between browsing data and customer data while respecting security constraints. An effective tool to collect and syndicate data (data layer and data streams). The unification of CRM and behavioural data improves campaign relevance for a sales uplift. Campaigns personalised using behavioural triggers drive response rates 3 times higher than segmented campaigns.